The taking of food is not merely to fill the stomach. 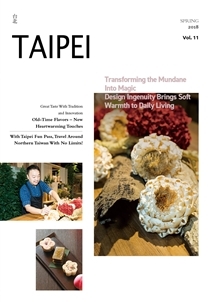 It is much more, a veritable “regional embodiment and cultural showcase.” Taipei City is a magnificent grand bazaar of many delicacies, heritage businesses, and innovative cuisine. Taipei “food culture” is an all-encompassing bazaar, extending from major streets down to lanes and alleys. 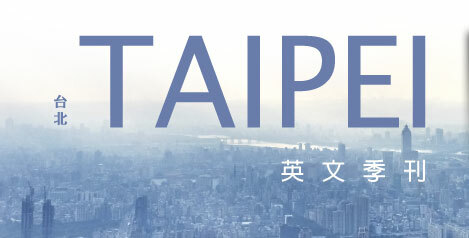 In recent years, the city government has energetically provided guidance to Taipei’s unique industries and enterprises during this transformation. For example, food emporia have been assisted in such initiatives as brand reengineering, marketing, and the building of a convenient and secure payment system. This has enhanced not only the quality of the food and reinvigorated brand value, but also the value of Taipei’s tourism. The innate power of such endeavors cannot be underestimated. Shanghai Hoshing Rice Cake Shop (上海合興糕糰店) opened way back in 1947. Over its 70-plus year history, it had always stood tall as the leading shop of its type at Nanmen Market (南門市場). In recent times, however, it had not been able to appeal to the younger generation’s eating habits, and its consumer base was in decline. Taipei youth seemed to know almost nothing of the wonderful tastes of traditional cakes and pastries. Second-generation proprietor, Ren Taixing (任台興) knew that his brand must undergo change. But he did not know how to proceed. Later, when his daughter, Ren Jialun (任佳倫) and son-in-law, Zheng Kuangyou (鄭匡佑) returned from the UK after completing design studies, they began presenting younger ideas. The decision was made to search for new pathways while upholding old-time taste traditions, so they launched an all-new business in Taipei’s old Dadaocheng (大稻埕) neighborhood. Hoshing 1947 (合興壹玖肆柒) is very different from the old family shop in Nanmen Market. The space is intended as a stage on which to tell the story of the family brand. It is not large, but offers a wide selection of snacks around the front door, most of them original items from the old shop. Thus, long-time customers can find familiar tastes in a new space. Treading a fine line between tradition and innovation, the two generations’ ideas are, of course, different, and must be reconciled and polished. Looking back at the early days of the enterprise, Jialun and husband Kuangyou remember how family members had to be persuaded to adopt the new way of thinking about the brand. This included developing new pastries and creating a new storefront, while safeguarding the family’s traditional flavors. Amidst the many trade-offs and challenges they faced, full family support was a constant, and while new-style cakes and pastries were being developed, Jialun’s father was there to pass on his baking experience, assuring retention of the original family taste within the new products. “I’d really like to see our customers’ expressions when they taste our fresh-made pastries,” he says. Originally said casually as a wish of the owner, this has since become Hoshing 1947’s business mantra. Sponge rice cake tastes best when first out of a steamer; but changes when it gets cold or is reheated. To ensure premium taste for patrons, the steamers are kept hot throughout the day from the moment of opening, and items will be specially steamed if any purchaser asks for it. Thus, the fragrant, soft sponge rice cake can be enjoyed while one is still in the store! The master bakers knock the full, plump sponges out of their molds one after another. The full traditional process may be more time-consuming and tiring, but the delicate taste and dense texture is only possible with the handmade process. The young husband and wife team has accepted the mission to carry on this heritage shop’s legacy, making decisions on what may be changed and what may not. “Our ingredients are all simple and natural. Grandfather passed on these timeless practices. With each morsel, each mouthful, comes great responsibility.” They are well aware of the current trend in transforming traditional old shops, and that innovative spatial design and product packaging can dazzle the eye. But to ensure a brand’s continuance, “product” is the foundation. Rejecting easy compromise is the path to survival for a vintage brand. Healing Herbar (老濟安青草店), a Chinese medicinal-herb shop, is located on Herb Lane (青草巷) in Wanhua District. The family has been in the medicinal-herb trade for three generations, with business steady throughout the years. Nevertheless, proprietor Wang Ronggui (王榮貴) is deeply conscious of the decline in traditional “herbal culture.” Consumers just don’t know the pros and cons when it comes to distinguishing quality. Therefore, the idea of transformation arise in accordance with the “Rejuvenate Old Shops Project” promoted by the Department of Economic Development, Taipei City Government. Wang Baiyan (王柏諺) has, since childhood, been at the side of his father learning all he can about herbs, absorbing deep knowledge on different medicines. 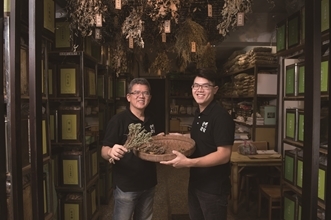 Leaving his job to run the family business, he worked with his father and a team of professional consultants to change the original inventory area in the rear of the shop into an herbal-culture education space, creating an enterprise and a new brand into the bargain. As for the attitude that herbal medicine is a sunset industry, Wang feels that this stems from the public’s imperfect understanding. Since transforming the place into a tea shop, the old long bar has become more intimate, with customers enjoying a full-set tea-making experience there, while smell-sampling wormwood and learning the virtues of herbs to sight, taste, and touch. Whether it’s the office worker crowd looking to boost mood and attitude with a “spirit refreshing tea” (神清氣爽茶), or the people wanting to enhance health and fitness with the “humifuse euphorbia herb and isatis root tea” (地錦板藍茶), consumers learn how to heal internally through external application. Offerings such as those mentioned transform medicinal herbs into tea drinks consumers can more easily accept. And in addition to beverages served on-site, takeaway bottles and teabags are also offered. Only by marrying innovation and precedent can there be herbal culture survival. Transformation of sales space and packaging can indeed attract a more diversified customer demographic. Healing Herbar also cooperates with community groups in staging promotional events, and hopes that the utilization of cultural guides will help people know the medicinal-herb trade better, while preserving the knowledge and old-time beverage traditions passed on by ancestral generations.